These bamboo party forks are a sanitary solution to serving your finger party foods. They are great for all the appetizers that accompany our delicious dips. 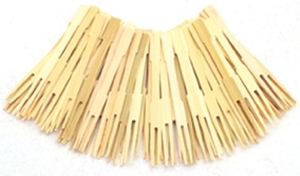 Bamboo is a renewable resource and an eco-friendly choice for all of your party needs.